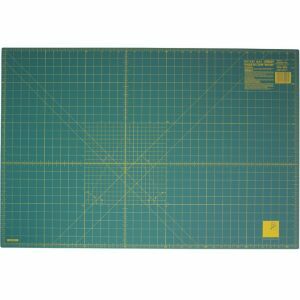 Sew Easy – Double Sided Cutting Mat – Mat size: 900 x 600mm – 36in x 24in. Marked with inches on one side and cm on the other side of the mat. Perfect for Sewing, Patchwork and Papercraft. Longer lasting self-healing mat. Easy to read measurements. 30°, 45°, 60° & 90° angles. Five layer with soft matt surface. Easier to hold fabric & ruler in place while cutting. Cutting blades last longer. 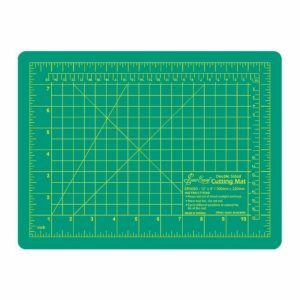 Sew Easy Cutting Mat – 600 x 450mm / 24 x 18″ – Metric & Imperial. Marked with inches on one side and cm on the other side of the mat. Perfect for Sewing, Patchwork and Papercraft. Longer lasting self-healing mat. Easy to read measurements. 30°, 45°, 60° & 90° angles. Five layer with soft matt surface. Easier to hold fabric & ruler in place while cutting. Cutting blades last longer. 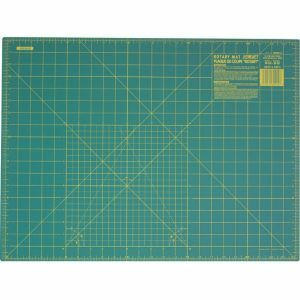 Sew Easy Medium Cutting Mat – 450 x 300mm / 18 x 12″. Marked with inches on one side and cm on the other side of the mat. 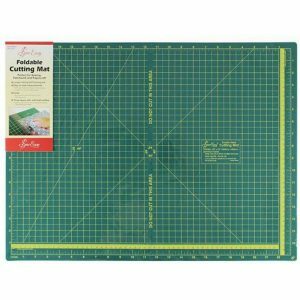 Perfect for Sewing, Patchwork and Papercraft. Longer lasting self-healing mat. Easy to read measurements. 30°, 45°, 60° & 90° angles. Five layer with soft matt surface. Easier to hold fabric & ruler in place while cutting. Cutting blades last longer. 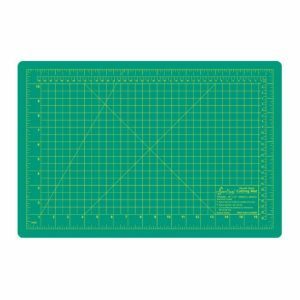 Sew Easy Small 304 x 228mm Cutting Mat – / 12 x 9″ Double Sided. Marked with inches on one side and cm on the other side of the mat. Perfect for Sewing, Patchwork and Papercraft. Longer lasting self-healing mat. Easy to read measurements. 30°, 45°, 60° & 90° angles. Five layer with soft matt surface. Easier to hold fabric & ruler in place while cutting. Cutting blades last longer. 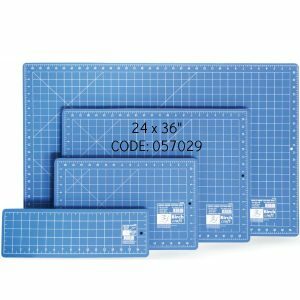 Sew Easy Small Metric Cutting Mat – 304 x 228mm – Single Sided – Grid Size 280 x200mm. Perfect for Sewing, Patchwork and Papercraft. Longer lasting self-healing mat. Easy to read measurements. 30°, 45°, 60° & 90° angles. Five layer with soft matt surface. Easier to hold fabric & ruler in place while cutting. Cutting blades last longer. Sew Easy Foldable Cutting Mat For Easy Storage & Transport. 600 x 450 x 1.8mm.Perfect for Sewing, Patchwork and Papercraft. Longer lasting self-healing mat. Easy to read measurements. 30°, 45°, 60° & 90° angles. Five layer with soft matt surface. Easier to hold fabric & ruler in place while cutting. Cutting blades last longer.